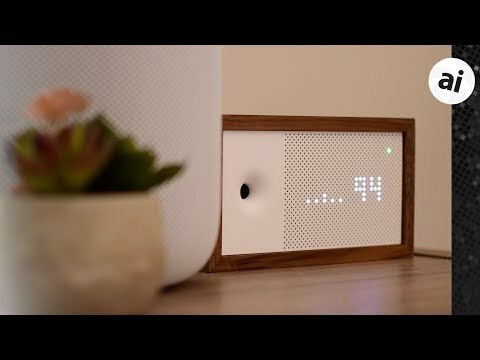 The second-generation Awair is an air quality sensor that excels in two areas -- it looks better than most, and it works better than most. Even with lack of HomeKit, it easily earns a spot on our shelf. This could be an eye opener for many. Once people see just how bad the air is inside their homes they’ll start opening their windows much more. Air quality is much better outside than inside. It would, but that requires a radically different kind of sensor. is there any evidence that this info actually leads to improved health? I do not mean just "feeling better' but fewer days in the hospital. Tobacco smoke, Radon and some others have a proven record of evil- but does this monitor's info make any detectable difference? I would think that what the user does about it would make the difference, not the info itself. When they integrate with HomeKit, otherwise sadly not. Do they have a concrete plan to do so? Sounds like the perfect gadget for hypochondriacs. Or people who have legitimate air quality related allergies, i.e. dust mites (must maintain humidity below 50% to prevent them), dust, pollens. There's also many people who have immunodeficiencies who need to monitor the quality of their air so they can stay among the living. Quality of life can definitely be improved for those of us unfortunate enough to have to deal with things like that. There are many things that are funny in this life, but joking about other people's legitimate health concerns is really not among them. Now I'm intrigued. It never occurred to me that there are devices to measure air quality and air purifiers for the home (except built in to the furnace -- that reminds me, I got to change the filters). True, I don't live in California or cities with smog. But, I have to respectfully disagree with the author's taste. I think this device is uuuuggggly. At least you respectfully disagreed on the looks! I dunno, I really like how this looks. We have a lot of walnut in our home so it happens to match our interior really well. Lots of white, lots of walnut. I don’t get why products like these don’t include CO and smoke detection while they are at it. The article stated that it does measure CO2. I would think smoke would be useless and an unnecessary expense to add. There's a reason why smoke detectors are always ceiling mounted. A great deal of the reason why it doesn't, I alluded to in an earlier comment. Radon isn't detected, because it requires a different kind of sensor. A smoke detector has a decaying (very low power) radioactive source inside it -- which is why they have to be replaced every two years or so. More sensors get more expensive quickly. You must be lucky and not live in Beijing, LA, or NYC, etc. As someone who lives in Eastern US city and likes to exercise outside, in summers I frequently query Siri what's the "AQI" now, and she'll give me the present Air Quality Index reading from my geographic location. It varies throughout the day, which may be that weather forecasters don't cite it much unless it's really bad. Well I'll refuse to buy it because of lack of Homekit support. That's ignoring about half of the U.S. population for not supporting Homekit. There's really no excuse for that anymore. You no longer need Apple's hardware chip. If you're gong to support Google and Alexa and ignore Homekit, I'll ignore your product. It's that simple. Besides, I already have Temp and Humidity from my Ecobee 4 and it's remote sensors, which of course supports Homekit. Air quality is much better outside than inside. I'm not sure that is true here in Texas. At least indoors we can use purifiers. My berg on the Eastern Sierra has that wonderful smell of burning pine this morning. "Wave Plus The first battery-operated smart IAQ monitor with Radon detection, including sensors for temperature, air pressure, humidity, TVOCs and CO2."